For most of the year, it is the duty of the press to scour the known universe looking for ways to ruin your day. The more fear, guilt or angst a news story induces, the better. But with August upon us, perhaps you’re in the mood for a break, so I’ve rounded up a list of 10 things not to worry about on your vacation. Now, I can’t guarantee you that any of these worries is groundless, because I can’t guarantee you that anything is absolutely safe, including the act of reading a newspaper. With enough money, an enterprising researcher could surely identify a chemical in newsprint or keyboards that is dangerously carcinogenic for any rat that reads a trillion science columns every day. 1. Killer hot dogs. What is it about frankfurters? There was the nitrite scare. Then the grilling-creates-carcinogens alarm. And then, when those menaces ebbed, the weenie warriors fell back on that old reliable villain: saturated fat. But now even saturated fat isn’t looking so bad, thanks to a rigorous experiment in Israel reported this month. The people on a low-carb, unrestricted-calorie diet consumed more saturated fat than another group forced to cut back on both fat and calories, but those fatophiles lost more weight and ended up with a better cholesterol profile. And this was just the latest in a series of studies contradicting the medical establishment’s predictions about saturated fat. If you must worry, focus on the carbs in the bun. But when it comes to the fatty frank — or the fatty anything else on vacation — I’d relax. 2. Your car’s planet-destroying A/C. No matter how guilty you feel about your carbon footprint, you don’t have to swelter on the highway to the beach. After doing tests at 65 miles per hour, the mileage experts at edmunds.com report that the aerodynamic drag from opening the windows cancels out any fuel savings from turning off the air-conditioner. 3. Forbidden fruits from afar. Do you dare to eat a kiwi? Sure, because more “food miles” do not equal more greenhouse emissions. Food from other countries is often produced and shipped much more efficiently than domestic food, particularly if the local producers are hauling their wares around in small trucks. One study showed that apples shipped from New Zealand to Britain had a smaller carbon footprint than apples grown and sold in Britain. 4. Carcinogenic cellphones. Some prominent brain surgeons made news on Larry King’s show this year with their fears of cellphones, thereby establishing once and for all that epidemiology is not brain surgery — it’s more complicated. As my colleague Tara Parker-Pope has noted, there is no known biological mechanism for the phones’ non-ionizing radiation to cause cancer, and epidemiological studies have failed to find consistent links between cancer and cellphones. It’s always possible today’s worried doctors will be vindicated, but I’d bet they’ll be remembered more like the promoters of the old cancer-from-power-lines menace — or like James Thurber’s grandmother, who covered up her wall outlets to stop electricity from leaking. Driving while talking on a phone is a definite risk, but you’re better off worrying about other cars rather than cancer. 5. Evil plastic bags. Take it from the Environmental Protection Agency : paper bags are not better for the environment than plastic bags. If anything, the evidence from life-cycle analyses favors plastic bags. They require much less energy — and greenhouse emissions — to manufacture, ship and recycle. They generate less air and water pollution. And they take up much less space in landfills. 6. Toxic plastic bottles. For years panels of experts repeatedly approved the use of bisphenol-a, or BPA, which is used in polycarbonate bottles and many other plastic products. Yes, it could be harmful if given in huge doses to rodents, but so can the natural chemicals in countless foods we eat every day. Dose makes the poison. But this year, after a campaign by a few researchers and activists, one federal panel expressed some concern about BPA in baby bottles. Panic ensued. Even though there was zero evidence of harm to humans, Wal-Mart pulled BPA-containing products from its shelves, and politicians began talking about BPA bans. Some experts fear product recalls that could make this the most expensive health scare in history. 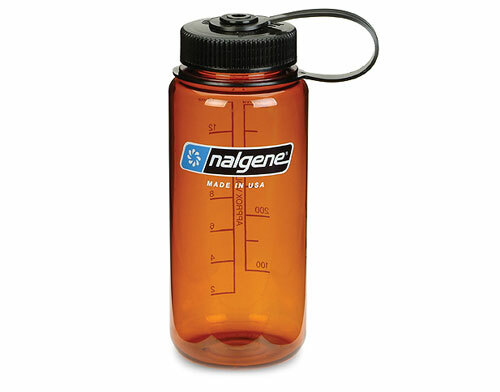 Nalgene has already announced that it will take BPA out of its wonderfully sturdy water bottles. Given the publicity, the company probably had no choice. But my old blue-capped Nalgene bottle, the one with BPA that survived glaciers, jungles and deserts, is still sitting right next to me, filled with drinking water. If they ever try recalling it, they’ll have to pry it from my cold dead fingers. 7. Deadly sharks. Throughout the world last year, there was a grand total of one fatal shark attack (in the South Pacific), according to the International Shark Attack File at the University of Florida. 8. The Arctic’s missing ice. The meltdown in the Arctic last summer was bad enough, but this spring there was worse news. A majority of experts expected even more melting this year, and some scientists created a media sensation by predicting that even the North Pole would be ice-free by the end of summer. So far, though, there’s more ice than at this time last summer, and most experts are no longer expecting a new record. You can still fret about long-term trends in the Arctic, but you can set aside one worry: This summer it looks as if Santa can still have his drinks on the rocks. 9. The universe’s missing mass. Even if the fate of the universe — steady expansion or cataclysmic collapse — depends on the amount of dark matter that is out there somewhere, you can rest assured that no one blames you for losing it. And most experts doubt this collapse will occur during your vacation. 10. Unmarked wormholes. Could your vacation be interrupted by a sudden plunge into a wormhole? From my limited analysis of space-time theory and the movie “Jumper,” I would have to say that the possibility cannot be eliminated. I would also concede that if the wormhole led to an alternate universe, there’s a good chance your luggage would be lost in transit. But I still wouldn’t worry about it, In an alternate universe, you might not have to spend the rest of the year fretting about either dark matter or sickly rodents. You might even be able to buy one of those Nalgene bottles. Hilarious article. Extremely reassuring. Especially the car a/c. And the cell phones. But what about microwave ovens?